Owls of the Northern Hemisphere presents the unique collaboration of the distinguished Dutch ornithologist Karel Voous and avian artist Ad Cameron. 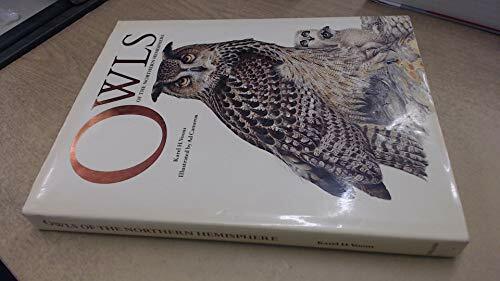 For bird, and especially owl, lovers everywhere, it is the definitive source of information on the 47 known owl species occurring north of the tropics. And for readers who admire and collect fine bird prints, it offers 50 superb full-color plates portraying an individual of each species. The descriptions of species are self contained, each combines a general summary with a detailed account. They are based on the most current data available and cover faunal type; distribution; climatic zones; habitat; geographical variation; related species; fossil species; structure, vision, and hearing; behavioral characteristics (songs and calls, circadian rhythm, antagonistic behavior); ecological hierarchy, breeding habitat and breeding; food and feeding habits; movements and population dynamics; and relationship to man. Highlighted throughout are some of the more controversial aspects of owl taxonomy as well as questions remaining to be addressed and areas that have yet to be researched. It is the owls themselves, that dominate this fascinating account: from the noisiest and most easily studied Barred Owl to the seldom seen Scops Owl whose call in Japanese folklore denotes the three ratnas or mystical treasures of Buddhism. There are portraits of the powerful and opportunistic Great Homed Owl, largest of the owl species who - fiercest of all in defending its young against human intrusion - is also the most often trapped and shot, and of the Eurasian Pygmy Owl, who with silky feathers growing to the ends of its toes, can assume the elaborate and expressive postures of a ferocious dwarf or drop like a stone and appear comatose. In his sobering accounts of man owl interaction, Voous observes that throughout the northern hemisphere reduction in habitat road kills, electrocution, and human predation are insistently encroaching on these remarkable birds. He describes the preferred sites and dimensions of nesting boxes for encouraging species survival. Karel Voous, is Professor Emeritus at the Free University at Amsterdam and the Zoological Museum of the University of Amsterdam. He is an honorary or corresponding member of numerous scientific and ornithological societies, author of the List of Recent Holarctic Bird Species, and the only non­Commonwealth recipient of the Golden Medal of the British Ornithological Union. Ad Cameron has been drawing birds of his native Holland since childhood. He attended the Royal Academy of Arts in the Hague, and his work has been published and exhibited throughout the world. He now lives in Friesland. 4. 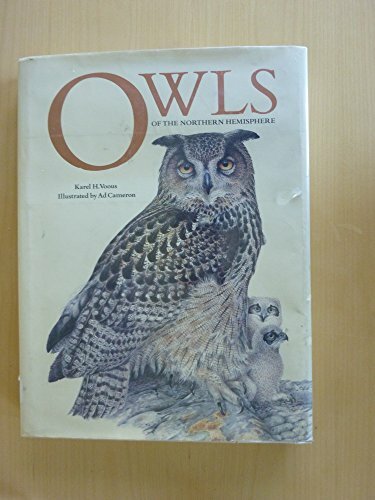 Owls of the Northern Hemisphere Voous, Karel H.